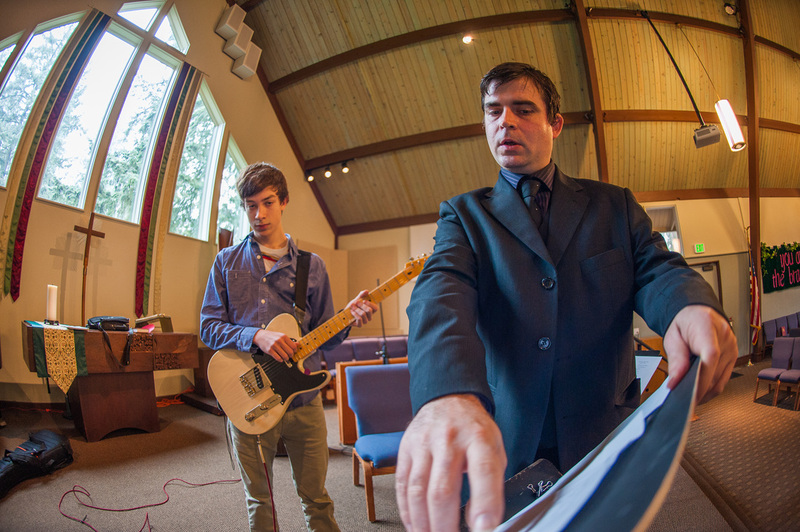 James Varieur is a musician, guitarist, teacher, composer, and arranger living in beautiful Lake Oswego Oregon. 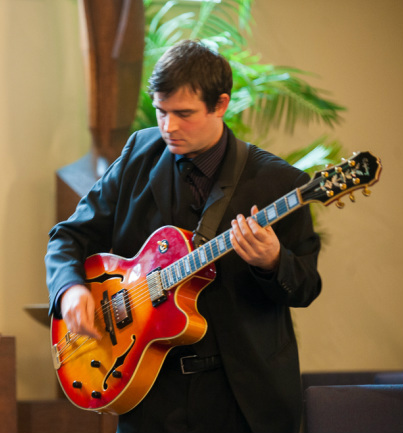 James gives lessons out of his Studio in Lake Oswego and teaches all styles and levels, Classical, Jazz, Blues, Rock, Bossa Nova and Latin styles. Whatever the interest an understanding of music theory is an important area of emphasis since it is the one common thread in all music. An understanding of music theory and its application to the instrument greatly simplifies the learning and understanding of more and more music. James is an expert on guitar technique, (the physical playing of the guitar) and can play the most difficult and demanding of music and is fluent in the different techniques used in the many different styles of guitar playing, flamenco technigues, fingerstyle, and classical techniques, blues, rock, and picking techniques, sweep picking. and altered turnings of the instrument. 2010	BM in Contemporary Music, Western Oregon University. 2003	AS in Automotive Technology, Portland Community College. 2003-07	Studied privately with John Doan, Assoc. Prof. of Music at Willamette University, recording and touring artist. 2005-07	Studied privately with Christopher Woitach, faculty jazz guitarist at Western Oregon University, recording and touring artist. 2006	Performed in Master Class for Adam Holzman, a nationally recognized teacher. 2006	Attended Master Class with William Kanengiser, renowned Los Angeles Guitar Quartet Member and international soloist. 2006	Attended Master Class with John Stowell, jazz guitar legend. 2006	Performed as a soloist with the Festival Chorale Oregon at St. Mary Church in Mt. Angel. 2006	Performed a solo benefit concert for the Western Oregon University Foundation. 2008-Present Performing in Portland, Salem, Corvallis, and Monmouth various gigs as a soloist and accompanist. 2012-Present Lake Oswego Guitar, Owner and Guitar Instructor. 2008-2012 Lake Music, Guitar Instructor. 2008-2009 Portland Classic Guitar, Guitar Instructor. 2005	Music Department Scholarship Award.